2m+ for Mario Kart 8 seems really high to me. Mario Kart 7 is currently at 2.7 million, brand new game (as in, not a port) and on 3DS. Eventhough Switch is the 3DS successor and many people dropped MK8, still seems high. 150k for SF2 also seems high considering the price, 5k yen. Somewhere along the past few weeks, we went from severely underestimating MK8D to maybe overestimating it. That's possible, but I think looking worldwide, there will probably be more need for a pokemon than in Japan to keep up sales. Japan can probably be carried by Splatoon and Super Mario into next year, but the west doesn't have as much to gain from a Splatoon release, so I think they will need a Pokémon or another blockbuster to reach the numbers proposed by WSJ. very true and I didn't think of the WW aspect. I think its a game they will wait to announce/release (I would think the release would be close to the announcement) until they know when demand starts to slow down. If they are still selling out WW (very doubtful, sellouts WW will probably start to slow down after Zelda hype dies down) through the summer I wouldn't be surprised if they make it a next feb/march title. I mean, there will be Mario, possibly Smash, and Skyrim as well. True, I think either Smash or Pokémon could get them to realise those hefty sales projections. I doubt that Skyrim could serve as a replacement system sellers to a comparable degree, seeing as it is now effectively the third iteration (original release, remasters last holiday, and now Switch version next holiday). Then again, being portable has made some Bethesda youtubers I listen to very enthusiastic, so it might bring in decent numbers from the Bethesda fanbase. Yep, this looks like what they are probably banking on. I think a bundle will be important too. There is a lot of Mario Kart and Smash gamers that passed on Wii U, Zelda DLC could also keep the title relevant for people unable to buy the system right now. E3 hype is the big unknown, if they sell switch to everyone in june with exciting new announcements, then I think they can do just fine. On a side note, Splatoon sold more copies in America than Japan, so it's not like it was a sales dud. No, no, and I definitely didn't mean to insinuate anything of the sort. I just think that the relatively lower attractive power of Splatoon in the West means it won't quite cut it for the higher sales expectations that are connected to NA regions. If the switch keeps selling out up through MK8D, then too Splatoon 2, and into the holidays, Nintendo may just keep a pokemon on the back burner and wait until after the holidays and sales slow down to release it. Which is part of the reason they may not have announced it yet. Waiting to see when if/when sales start to slow down. It hasn't been announced because it's unlikely to be released before November. Doesn't make any sense to announce it so early. May/June announcement is more likely, though that's just my two cents. Just the local on a portable device that allows multiple players to connect to one lobby from a couple of device will ensure plenty of sales this year. This is Japan we are talking about and I don't think anyone here doesn't agree that MK7 -> MK8 upgrade is substantial. The new battle mode will be ensure that local and online is actually a lot move lively than MK8. I'd be surprised if its not close to MK8 lifetime sales by the end of the summer vacation. Wii U shooter Splatoon sold another 85,000 units in its third month, and overall it's shifted nearly 540,000 copies in the US and over 1.6 million copies around the world; it's played a key role in total US Wii U game sales for the first seven months of the year being 10% up on last year. Edit: Sorry, misread this bit of text. Moving onto hardware, Nintendo doesn't issue numbers but did provide a statement to Venturebeat. Through the first six months of 2015, combined sales of Wii U and Nintendo 3DS systems have increased by more than 20 percent over the same time frame in 2014. Much of this growth can be attributed to Nintendo 3DS and the new momentum created by the launch of New Nintendo 3DS XL on Feb. 13. So far this year, sales of Nintendo 3DS hardware have increased by more than 40 percent over sales at the same point last year. Positive momentum is welcome, though admittedly sales of the New Nintendo 3DS XL may be masking a slight dip in the Wii U's stronger momentum from earlier this year. This suggests that the hardware boosts for WiiU were not really connected to Splatoon in NA, since it doesn't manifest during the release months (it launched at the very end of may, so I am counting May and June for release months). I think that Splatoon didn't have a massive influence on the hardware numbers in NA, although you could argue that it had similar influence as compared to Mario Kart 8 the previous year, which would still be pretty good. Interesting. I do think Splatoon will help shift switch units but probably not to a huge degree (in the US). Nintendo going all out on Fire Emblem it seems, they just announced yet another game for April 20th, this time on Switch... but also 3DS. I guess even Nintendo doesn't have faith in their own console anymore, heh. On topic, this reminded me that Fire Emblem Warriors was also cross-platform. Really curious about the platform split for that one. That's a very bold prediction to be so confident in. I don't see it selling anywhere near that many copies. What kind of April Fools' joke is that? Make a huge software announcement for your new console then say, "Ha! I was just kidding!"? Did you look at the webpage? The real joke contained in there is that they would sell that for 6000 yen. FE Warriors is only on the new 3DS, right? The user base is about 5 million right now (probably up to 6-6.5 million when it launches), so the gulf is not quite as vast as it is for other software titles. Edit: Sorry about the double post! That being said, I do admit a Bakumatsu FE would be really interesting. Yup. Not a surprise after Hyrule Warriors. Speaking of PxD, the Puzzle & Dragons X anime seems to be doing fairly well. A second season was announced a few weeks ago, and the first one isn't even over. Currently at episode 38, iirc, probably going to 50ish episodes. Season 2 of the Monster Strike anime also started, by the way. Sercan Toto nailed Switch performance in Japan at launch by the way. 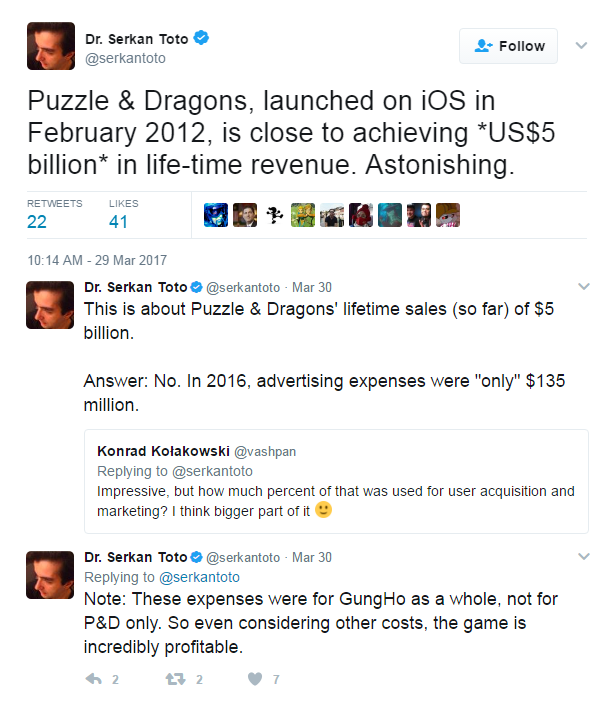 He saw good strategy with pricing and releases from Nintendo when most were seeing failure. The Wii U was up the first 4 months in 2015 vs 2014 in NPD because Mario Kart 8 hadn't released yet, the moment you put in MK8 vs Splatoon the Wii U started falling behind in the YoY comparison (and quite fast too, June 2015 was like half of June 2014). Also, finally looked at the Famitsu data Chris posted a few pages ago, and damn... 3DS was actually up YoY? Wasn't expecting that. 2DS really helped, would've been down otherwise. So much for no droughts. Nintendo really should've had more software available. Regarding Arika's April fool's joke (that might not be one), do we have numbers for SF EX? I don't see EX4 ever happening, but a new Fighting Layer or Sample would be nice. Smaller budget. Before it gets posted, the MH "news" from Aevanko is an April's Fools. Destiny 2 is a PS4 exclusive published by Sony, just like the first game. Preorders open on May 25th. Oh goddammit ahahah. At least it got locked quickly. I was at a nearby BOOKOFF the other day, and the buy price was impressively high, ¥29,000. There were none for sale of course. I am starting to see some used games around though. Mostly Bomberman and Disgaea. It's going to go by really quick. Right now schools are on spring break. The new school year and financial year are starting up soon, which means joining clubs and mandatory after work drinking. We don't really need any games until May. Thats when people start feeling depressed because work and school have returned to the normal grind. I see these a lot in this thread. Is it a case of more points = pre-order numbers? COMG is a retail chain in Japan. Each point is a preorder at one of their stores. The "it pretty much rules Switch out" post is incredible lol, people are so eager to see the exclusivity deal break. So basically just a way of how to judging demand for a game for us. It looks Nintendo provived a good amount of systems this week too, the were restocks several days. It should be another week Switch is over 50k, maybe comfortably. There were some kids buying a Switch at my local Geo this afternoon. They super exited to find one, the older sister ran home to get money to buy it. I knew it was selling well, but this was the first time I had seen one getting sold. Glad to see children excited to get the Switch too. MK8D will be treated as a new title. MK8 being on the Wii U is non factor. Right, I think for a series like Mario Kart, the number doesn't even matter really. It's Nintendo's most widely-appealing series, people don't buy Mario Kart just because it's new, they buy it because it's the Mario Kart for their new Nintendo system. This is also why I don't think there's any point in them releasing a Mario Kart 9 for the Switch. MK8 will sell throughout the life of the system, introducing a new game would just use up development resources and split the userbase, for not much gain. Better to just release some new DLC in a couple of years. FE doing so "bad" is yet another proof that a remake is a remake. Unless you think next main entry of FE on 3DS would sell the same with this. C'mon, it's a remake from such an old game, and FE recently got a new life, lots of new fans. 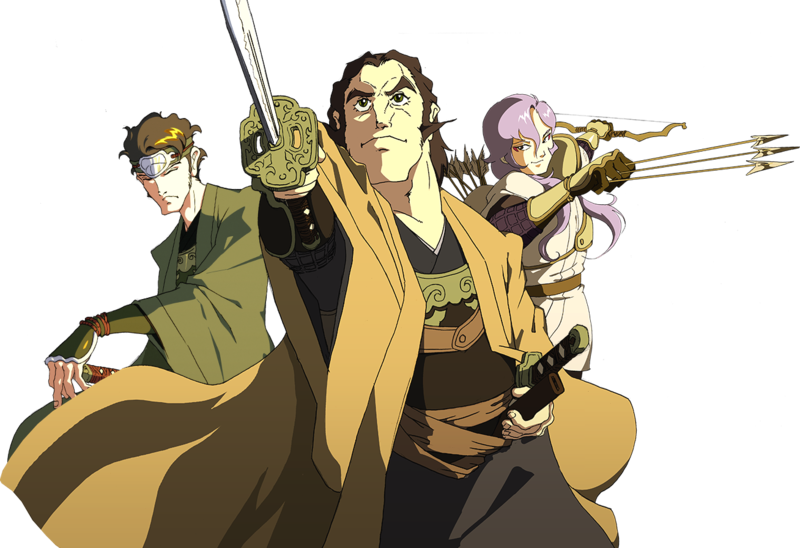 This new release may be a remake but most fans of Awakening and Fates didn't even know about Gaiden's existence. It's an all new adventure with an all new cast for most people. MHXX got hit by the 3DS fatigue and soon Pikmin will be the next victim. Atlus better embrace themselves too. Miitopia is climbing on Amazon.jp, I wonder if it will make a come back the next weeks. I wouldn't really equate the west with Japan as far as Echoes goes. Once again, this game was the second lowest scoring in the Famitsu Poll with the first being Shadow Dragon, another remake. gamesmaya report for April and later. Once again she mentions lack of important software for PS4, worried for lack of big releases and the impact they'll have. Switch continues to be out of stock, many Mario Kart preorders include the system too. That's pretty interesting, sounds like Mario Kart 8 Deluxe has a big system selling potential despite being a remaster (as many predicted already). It also seems like MK8D might have a pretty strong launch. That's pretty interesting, sounds like Mario Kart 8 Deluxe has a big system selling potential despite being a remaster (as many predict er already). It also seems like MK8D might have a pretty strong launch.